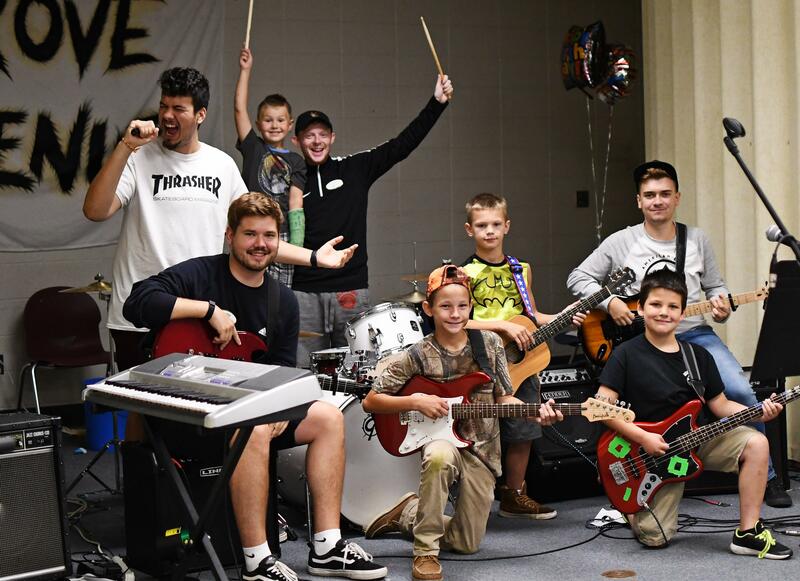 Any kid that dreams of being in a Pop or Rock band, will have that dreamed fulfilled at Camp Pillsbury’s Pop and Rock Band Summer Camp Program. At our summer camp in Minnesota, we help children of different musical skills to learn new things and take their talents to another level. Bands are formed by age, skill level and musical interest so all campers are sure to have the best learning and fun experience. 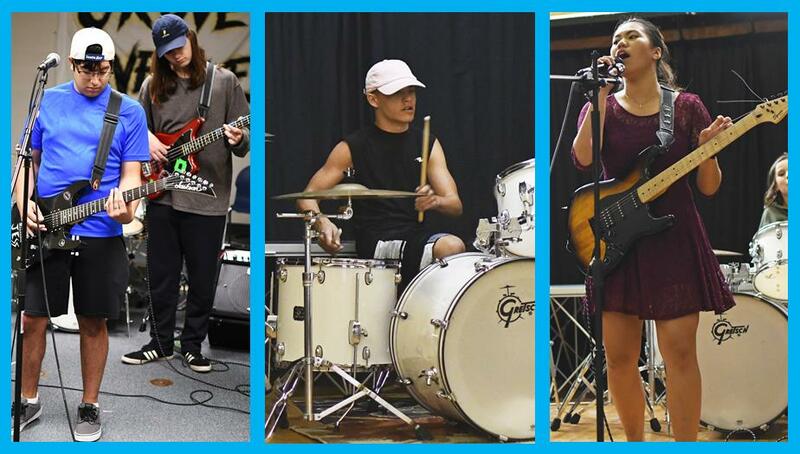 We offer lessons in acoustic and electric guitar, vocals, bass, drums, keyboard and other Rock Band instruments at our summer camp in Minnesota. Working in groups while playing in a band speeds up the creativity and the learning process in musicians. Even our advanced musicians are amazed by the amount of progress they gain by regularly playing in a band with other musicians. While collaborating on projects, campers make deep bonds and friendships with each other. Most campers find the friendships formed while at Camp Pillsbury are long-term and strong because of the especially good times they share. Forming a Band – Form a band with other musicians based on age, experience and musical preference. Music Instruction – Receive musical instruction from talented professional musicians. Songwriting – Learn how to write songs that are a memorial and unique reflection of you and your experiences. Practice Skills – Learn and develop professional practice skills used by the pros. Stage Performance – Learn the ropes while performing songs at evening activities, talent shows and at canteen. Concert Performance – A spectacular concert is produced each session, where campers have the opportunity to perform with their bands for the whole camp and visitors during performance day. Campers who participate in the pop and rock band summer camp program can take part in other programs to take their skills to the next level or learn new things. If campers are interested in making a video of their band, they can participate in the multi-media digital summer camp program. Camp Pillsbury offers a range of other programs so campers can learn new skills for a well-rounded summer full of fun. All through the summer there are adventure days and local events to take part in which add to the memories campers get to cherish. If you are interested in an unforgettable summer camp experience, then register with Camp Pillsbury today for the SUMMER OF A LIFETIME! View Camp Dates & Rates Register Now! Check out this video of campers having fun at Camp Pillsbury! Watch our video and see what makes Camp Pillsbury the ultimate summer camp experience.